Recently it was reported that BMW had expressed interest in purchasing Saab Automobiles. After hearing this news I found myself constantly pondering the possibilities of this acquisition and how BMW could make Saab work in the market where GM had failed. BMW will of course be in contention with numerous other bidders, however after much thought I see BMW as the most perfect match possible for the Saab brand and its resurgence. First off lets look at why GM failed so miserably with Saab. 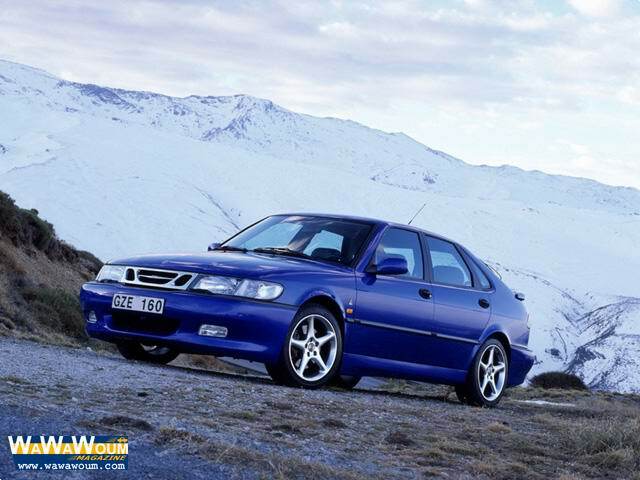 Back in 1989 GM bought half of Saab, and then finally purchased the rest for full control in 2000. The first all GM model introduced was the second generation 9-3 in 2003. This new 9-3 was the first Saab in decades that did not offer the combi coupe hatchback design on any models. This was the beginning of a total loss of identity for Saab, one that would lead to falling sales and eventual bankruptcy over the next few years. 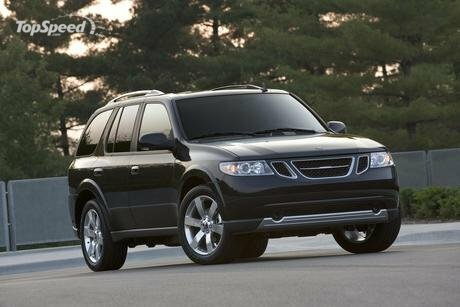 GM also tried to bring out new Saab models like the 9-7 SUV (based on a Chevy Silverado) and the 9-2x (a re-badged Subaru Impreza), all of which failed horribly. After 2003 the true Saab, as the world knew it, was dead, and all that was left was a bunch of generic GM cars with the ignition key in the center. The sad irony is that right when GM killed the Saab hatchback design, other manufacturers were starting to produce similar designs in large numbers and with great commercial success. Today many popular cars like the Mazda3, Subaru Impreza, Ford Focus, and even the Toyota Prius all feature a Saab-like hatchback design, and they have all sold like hotcakes. Whoever buys Saab now is going to have to rebuild the brand and return its true identity. Saabs were always interesting cars and they tended to attract buyers looking for something that would stand out a bit in the crowd. Saabs also had a good amount of sporting appeal to them and were largely focused on their driver. They were also exceedingly practical cars as well, making them great for people with varied needs. Saab really had quite a niche market going for a while, very similar to the likes of Subaru or Mazda today. In fact I would say that is exactly how the Saab brand should be today, a mix of Subaru and Mazda with its own European flavor; cool designs like Mazda and bulletproof functionality like Subaru, with the emphasis of the fun dynamics in each brand. The new Saab should offer models with either front wheel drive or all wheel drive across their range, as there are not many cheap all wheel drive cars out there other than Subarus (it would be a nice offering from a European manufacturer). Combi Coupe hatchbacks are a must for most Saab models, and they should make cars that will target both economy minded customers as well as those wanting higher performance. For instance, I think Subaru WRX competitor from Saab would be a guaranteed hit. I know the 9-2x was just that, but it failed because it was actually just a re-badged a Subaru and not a real Saab. Saab buyers want Saabs, who would’ve guessed? So where does BMW come into all of this? From a logistical perspective, BMW is currently working on introducing some front wheel drive models because they need to bring their fleet fuel efficiency ratings up and their fleet emissions levels down in order to meet upcoming government regulations. This poses a problem for BMW because their brand identity is based around sporty, rear wheel drive based, driver’s cars, and these new front drive models will not sit too well with most BMW people. This sort of front drive car would, however, be perfect as a Saab. BMW and Saab also both share common values at their very core. Both place a high emphasis on driver involvement in their road cars and both have a rich racing history, and both Saab and BMW make products that are much more than just a car. In practice, they certainly went about things in very different ways, with BMW focusing on rear wheel drive and Saab going with front wheel drive. In this current predicament, I would say their differences would make them perfect allies for many reasons. BMW is very high end, and they could use a lower level brand that would more directly compete with VW, Ford, and most of the Japanese manufacturers. Yes BMW does own Mini, but the Mini brand’s appeal is really just limited to the Cooper and whatever variants they make from it (eg. Mini could not really make a VW Passat competitor with any success because it doesn’t fit the brand). Saab, on the other hand, can compete with anything in that realm, just so long as its cars are true to Saab ideology. 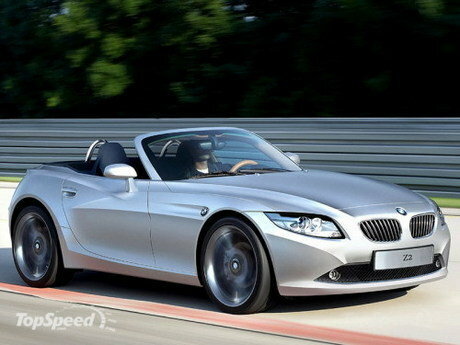 Take for example BMW’s proposed front drive sports car, the Z2. Everything about it just screams Saab Sonnet. Again, the front drive Z2 is wrong as a BMW, but would be perfect as a new age Saab Sonnet, something to take on the Mazda Miata, if you ask me. So, Saab would function as a lower-end brand for BMW, offering front and all wheel drive cars competing in the mainstream market. Mini would stay as they are because they have a very successful niche, although I would argue for moving the rally program over to Saab after a few years in order to give them something on which to base their re-surging brand image. The Saab 9-3 Viggen, in my opinion the last hurrah of the real Saab before GM took full control and ruined the brand. Overall, this acquisition would give BMW a very wide range of cars, with Saab in the main market, BMW in the luxury realm, Rolls Royce in the ultra high end sector, and Mini continuing as a trendy niche. BMW has been doing quite well lately, and should be in good order to handle the remaining issues with Saab’s creditors. I see it as a solid investment for them because they would develop Saab into a mainstream market brand, something they lack at present. In doing so, BMW could uphold their own brand’s integrity by moving all of their development of front wheel drive platforms over to Saab. This move would also still allow them to meet government regulations regarding fuel consumption and emissions, but in a manner that would sit better with consumers on all fronts. Finally, I believe that all of this will work because BMW and Saab both have similar ideologies, based around driving, that allow their cars to be more than just a bucket of bolts. It is this congruency that I feel would most strongly aid Saab in getting back on their feet because they could be the “true Saab” once again. Volvo, who is also looking to buy up Saab, does not seem to have this same resonance of basic purpose that BMW has with Saab, despite being a fellow Swedish firm. So as the bidding for Saab continues I am really hoping BMW wins out because I feel there are vast mutual gains to be had. I really want to see Saab be all it can be, and I feel BMW is the best equipped to make that happen. Saab can be made to compete in a variety of areas. All Saab cars must be interesting though, and that is what GM took away. As a matter of fact, that could be a nice tag line for the new Saab, “Saab: Always Interesting”. Previous Post3 years on, are the Japanese still lost in the dark?Next PostFerrari’s got a brand new bag. Some thoughts on the new F12 Berlinetta. This makes sense to me. Has any one else heard any more news on this?